The special presidential envoy for the Global Coalition to Defeat ISIS, Brett McGurk, on Friday informed Secretary of State Mike Pompeo that he would be vacating his post come February 2019. 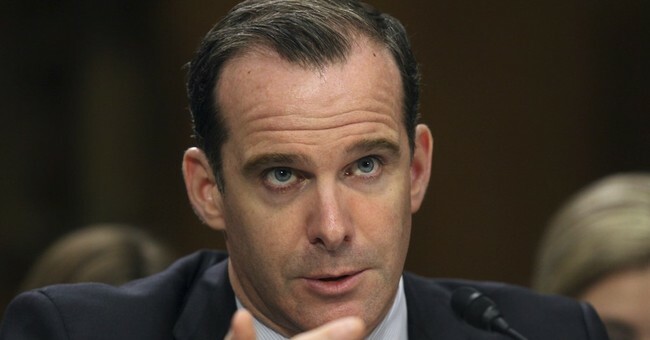 The decision as made because McGurk strongly disagrees with President Donald Turmp's desire to pull troops out of Syria. McGurk's resignation comes one day after Defense Secretary General James Mattis also resigned for similar sentiments. According to emails obtained by the Associated Press, McGurk was shocked by Trump's decision to pull troops out of Syria. “The recent decision by the president came as a shock and was a complete reversal of policy. It left our coalition partners confused and our fighting partners bewildered with no plan in place or even considered thought as to consequences," McGurk said in an email to his staff. “I worked this week to help manage some of the fallout, but — as many of you heard in my many meetings and phone calls — I ultimately concluded that I could not carry out these new instructions and maintain my integrity at the same time." McGurk is one of the few Obama appointees the Trump administration asked to stay in their positions. He also was crucial in partaking in secret negotiations with Iran, which lead to the release of American prisoners back in 2016, one of which included The Washington Post's Jason Rezaian. McGurk's last day on the job is Dec. 31.